Mr. Naresh Shahi is a Software Developer. He has a proven track record of using sound engineering practice to produce bespoke software solution and web application. 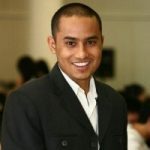 Naresh has accomplished his BSc in Computer Science from Shinawatra International University in Thailand. He has a many years of experience working in software industry including 3 years in satellite communication company in Thailand. Naresh is currently working and living in the United Kingdom. Naresh has been providing technical support to HFHP.org website since 2016. To know more about him please visit his tech blog.